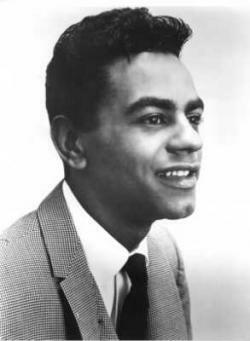 John Royce "Johnny" Mathis (born September 30, 1935) is an American singer of popular music. Starting his career with singles of standard music, he became highly popular as an album artist, with several dozen of his albums achieving gold or platinum status and 73 making the Billboard charts to date. Johnny Mathis has sold well over 350 million records worldwide as confirmed by Guinness music chart historian Paul Gambacini, this makes Mathis the 3rd most successful recording artist of the 20th century and of the last 60 years. Although he is frequently described as a romantic singer, his discography includes jazz, traditional pop, Brazilian music, Spanish music, soul music, rhythm and blues, soft rock, Broadway theatre, Tin Pan Alley standards, some blues and country songs, and even a few disco songs for his album Mathis Magic in 1979. Mathis also recorded five albums of Christmas music. In a 1968 interview, Mathis cited Lena Horne, Nat King Cole, and Bing Crosby among his musical influences.